Undercover CIA Stinger Knife And Sheath - One-Piece 3Cr13 Steel Construction, Black Oxide Coating, Thru-Holes - Length 7 1/8” | BUDK.com - Knives & Swords At The Lowest Prices! 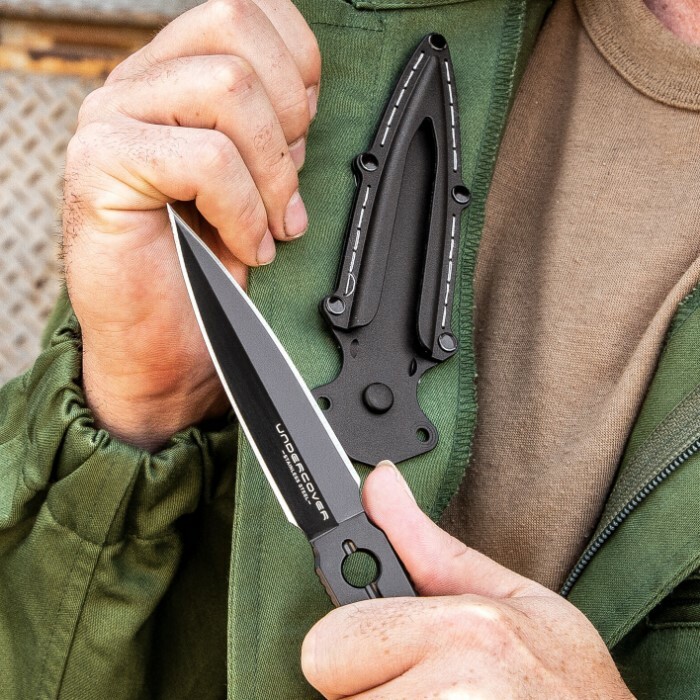 The Undercover CIA Stinger Knife And Sheath was designed to be that easy-to-hide, backup buddy they don’t expect to sting them! 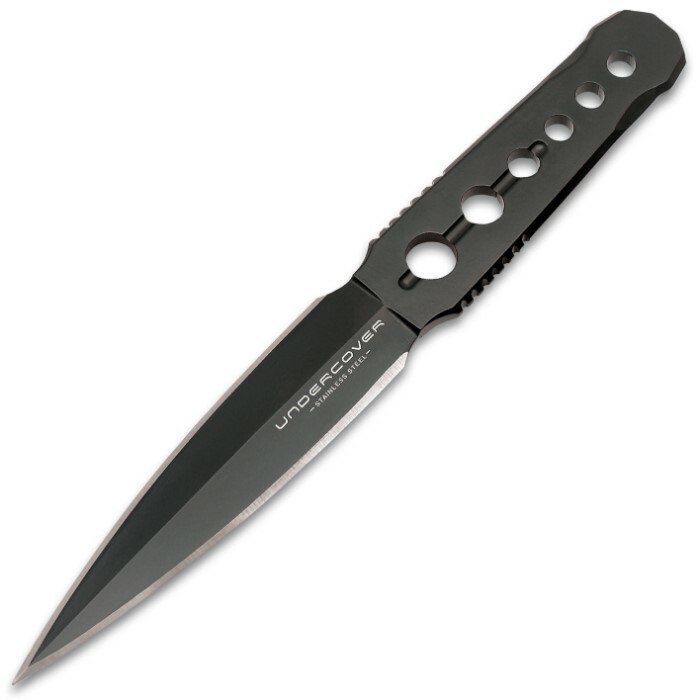 The stinger has a solid, one-piece 3Cr13 stainless steel construction with a 3 7/8”, razor-sharp blade and penetrating point. 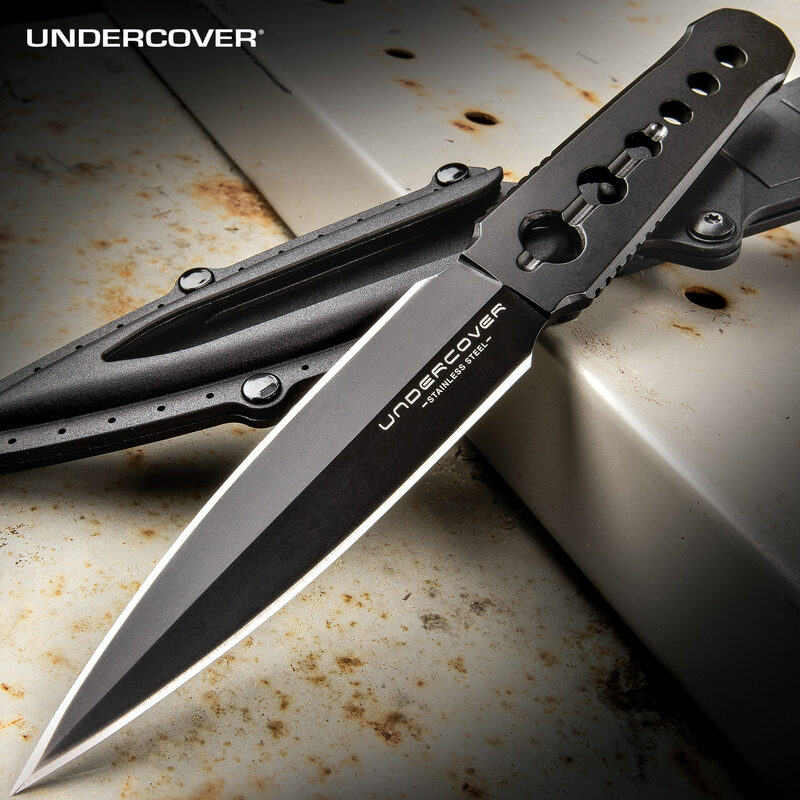 A non-reflective, black oxide coating and weight-reducing thru-holes make this compact fixed blade perfect for covert missions. 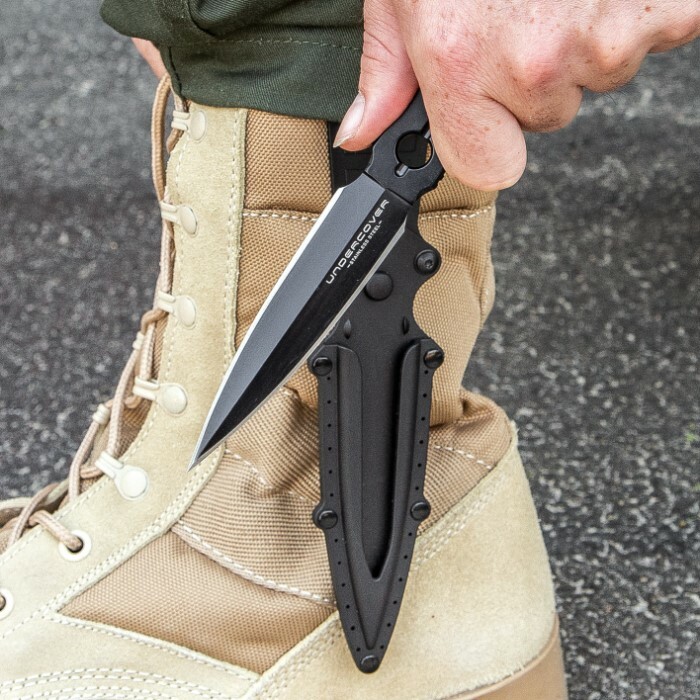 The 7 1/8” overall knife snaps securely into a tough injection molded nylon sheath with a removable boot clip.